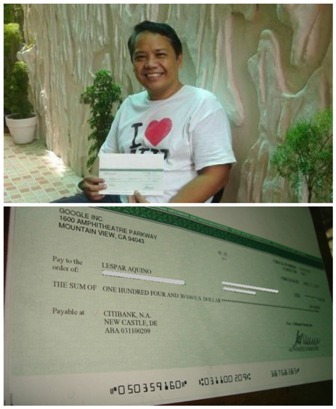 Toastmasters Speeches: The Motivational Speech-Sample Speech, "Earn Google Dollars with Blogs"
The Motivational Speech-Sample Speech, "Earn Google Dollars with Blogs"
This speech was delivered at the Alabang Community Toastmasters club in the June 13, 2015 Toastmasters Meeting. Good afternoon fellow Toastmasters. A couple of months ago I posted a status update on Facebook showing two pictures. (show the facebook pictures) Some of you here have seen these pictures, and they seem to have generated a bit of interest. Although these pictures were posted 2 months ago, they were actually taken 5 years ago. One picture shows me 5 years ago with a bit of thicker hair holding a check. The other picture is a facsimile of THAT check. The check shows an amount of $100 and yes, it was payable to me. The pictures elicited a couple of inquiries from you guys. On Facebook, somebody even asked if I worked for Google. The short answer to that question is no, I don’t work for Google, if work meant employment. But I have a certain relationship with Google where I get paid by Google once a month. 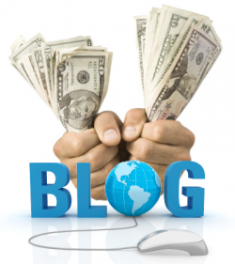 Is it easy to earn Google dollars with blogs? Well, I wouldn’t call it easy. For one, you need to set up your blog and then be able to write incessantly. It certainly would take plenty of patience, and determination to make it work. But then nothing worthwhile has ever been achieved without hard work. So how does one make money from Google with blogs? What is its business model? But setting that aside, my first question is does everybody know what a blog is? What is a blog? Blogs are commonplace these days that hundreds of thousands of blogs are set up every year around the world. It’s easy to set up a blog. Easy. I’ll go to that later. I know a few friends who are bloggers. Inah here has a blog and she writes very well. But I do not know someone personally who actually monetized their blog with Google Adsense. Alright, let’s make a scenario. Say I’m the blogger and my blog is about physical fitness. Now, let’s say Lolet is Google Adsense. Now, just for simplicity, just think of Google Adsense as the advertising arm of Corporate Google. I’m sure you’ve seen Google Ads. They’re ubiquitous – they’re everywhere. So I’ve set up my blog and then start writing articles on physical fitness. Now I want to monetize my blog, I want to make money by way of advertisements. So I apply for a Google Adsense Account. The Google Adsense Account is not a Google Account. A Google account is an account you create with Google and allow you to avail of Google services like Google email or Gmail and Google Plus. A Google Adsense account, on the other hand is an account granted by Google Adsense. This account allows me to serve ads in my blog, the physical fitness blog. So I submit an application to Google Adsense. There’s a Google Adsense website for this. In that application, I write the name of the physical fitness blog, my home address and other personal detail. Staff from Google Adsense then looks at my blog and reads or reviews my articles. Now be patient. Their review may take anywhere from 3 days to 7 days. But they do review the applications. Two things will come out from this review process. Google Adsense will inform me whether they accepted or rejected my blog. If Google accepted my blog, Google will inform me that they will grant me a Google Adsense account. If they rejected my blog, then that’s it. Now, you may protest, “How dare Google Adsense reject my blog. I put my heart and soul in those articles!”, you might say. Well, in their email, they give you a reason like there’s not enough material or the material doesn’t generate enough interest. And in a way, they’re right. What’s the sense of me serving Google ads if my material isn’t interesting enough that nobody reads the blog. It has details of my account, PIN and how to activate. End of Story? No, I was just scratching the surface. I provide ad space in my blog for Google ads. Google then selects ads from advertisers. Let's say Maritess is an advertiser for Yoga exercise mats, and let's say Roan wants to advertise Exercise machines. Google may then display Maritess' and Roan's ads in the ad spaces I provide in my blog. So they’re advertised on my blog. The only time that my blog will make money is when readers of my blog, say, Jan and Ian click on the ads displayed on my blog. 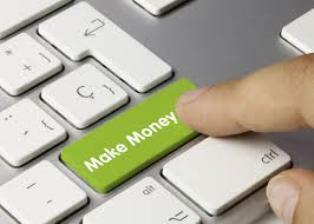 Each click would earn a few cents or dollars, depending on how much the ad is worth. Advertisers pay Google and Google gives me my share through the cumulative monthly earnings. Now don’t ever think for a minute that you can game the system. If I ask or hire readers to click on the advertisements, you’ll be sorry. Those are fraudulent clicks and a violation of your agreement with Adsense. Google is too clever for that and can detect them. My Adsense account will then be suspended. If I have many blogs attached to that account, all of them will be suspended, even if only one blog was in violation. Google Adsense issues payments on a monthly basis. The minimum payout is $100. Is there a maximum? None. I can be paid $1000, $10,000. It really depends on how well my blog performs. So that’s the business model in a nutshell. Is it hard? Nothing worthwhile was ever achieved without hard work. And you have to start somewhere. But, “Les”, you might say, “the hardest part is in starting”. Sure, but do it anyway! How do you set up your blog? I always say this to those who ask. “Google is your friend.” And when you need answers, you ask a friend. Just go ask Google and you will get answers. Let me extend that further. Youtube is your friend. Imagine hundreds of thousands of blogs are set up around the world every year. Sadly, roughly the same number of blogs die or fade out every year. 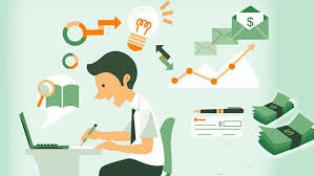 You need to have a big amount of patience and determination to write articles to keep your blog updated and relevant. Now, what is there to write about? Technically, it is anything and everything under the sun. But let me ask you, how cool is it to make money by writing on something that excites or interest you? Of course its way beyond cool! Just ask yourself, what excites you? Food? Love of cooking? How about a food blog or a recipe blog? They rate quite high on search engines. Another question I get is “Do I write in English? Tagalog? Taglish?” Well, if you want maximum readership, write in English? That’s how you reach the bigger global audience. Sometimes I encounter this “Nosebleed” mentality. You’ve heard Filipinos say they get nosebleed trying to understand English, nosebleed trying to speak in English and nosebleed trying to write in English. I say “screw that nosebleed mentality” We Filipinos always pride ourselves as proficient in English. Writer’s Block? It happens. Here’s a tip. Keep a notebook, or a text file in your tablet or gadget, an idea pops up, write it down. Go back to it some other time. And when you’re ready, write the article – for a minimum of 500 words. Set a minimum. In my experience tell me 500 words is enough to write something that makes sense. In closing, I’d like to quote Francis Kong. You probably heard of this speaker. I’m a big fan. Anyway, he posted this on Facebook, fairly recently. "Put some action into your plans. No matter how slow or hard it is, you are definitely making progress compared to the person sitting on the couch. Some people say it is hard to do, and then never do it. Others know it is hard, yet they roll up their sleeves and start to work on it. Fast forward, and you see the self-starters succeed, while those on the couch wonder why life is unfair. There is a saying, “Rome wasn’t built in a day.” Even THEY had to start somewhere. Nothing worthwhile has ever been achieved without perseverance and hard work."